It's official: animals are running amok in home decor. This is nothing new for the kid space, of course. What is new is the huge variety of animal objects that would be at home in any room in the house. Following are some of my favorites. Check out the bird bust above. 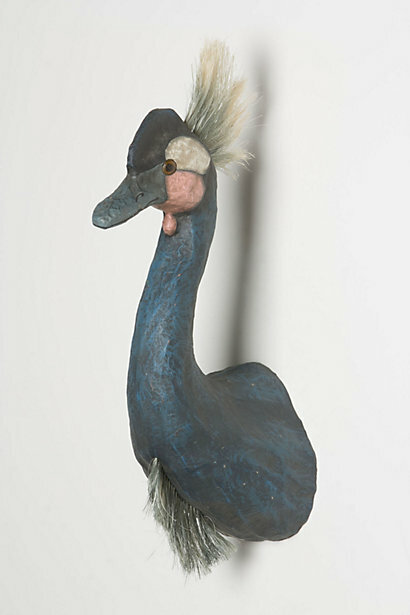 Yes, I know: taxidermy is very nearly played out. But I'd make an exception for this guy. He's so stately, and would add a real dose of gravitas to a foyer or dining room. 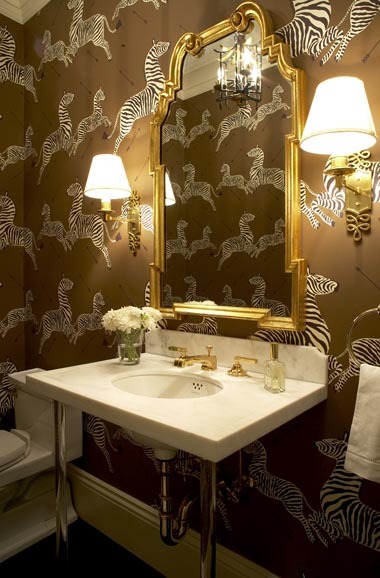 Scalamandre Zebras wallpaper is a design classic, and for good reason. It's simply stunning, especially in a smaller room, like an entry or bathroom. It comes in a bunch of colorways, too. Isn't this little bunny lamp sweet? She'd work well in a child's room, of course, but her lines are so pure and classic, she'd also be suited to a library or office, clustered with books and other pretty objects. 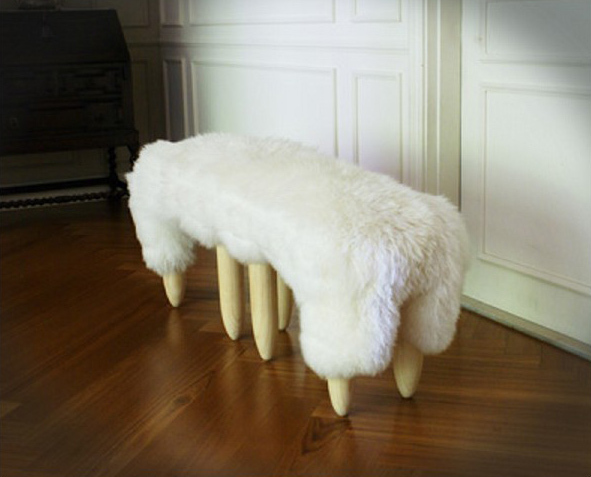 I think Korean artist Shawn Soh's Relation Sheep Bench is truly winning. Somehow both funny and sophisticated, it reminds me of the Lalannes sheep sculptures so popular a few years back. The unusual colors and elegant styling of this bookend would brighten up any bookcase. Plus it's made of wood that is hand painted and FSC certified. Many more members of the animal kingdom are available, too. 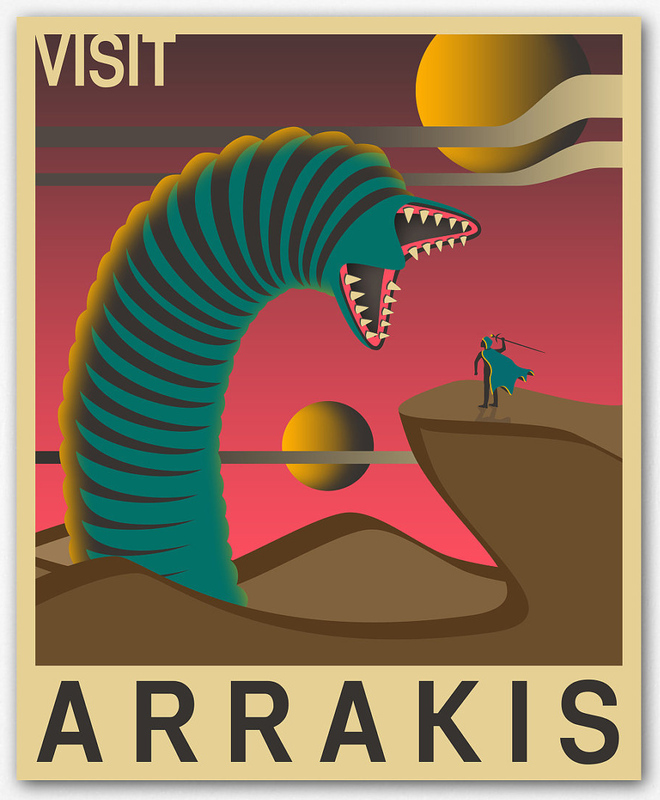 And, to close: a travel poster celebrating the novel Dune. True, the animal depicted here doesn't have the whole warm and fuzzy thing going on. But the poster is a riot, and would be an ideal gift for your favorite sci fi fan.